Through my professor dr. Robert Doornenbal at the Christian school for Higher Education in Ede, I came across the creative metaphorical method, which sociologist David Gauntlett applied on his research. 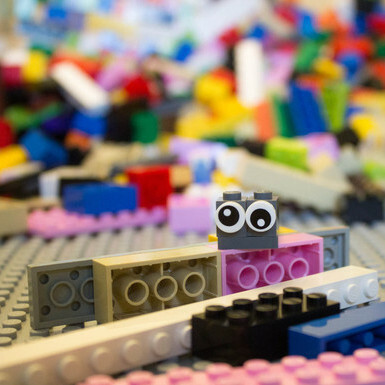 By using this method making use of LEGO® SERIOUS PLAY®, Gauntlett experienced that especially with intangible subjects, there is more to be known about people, and for people to discover about themselves, when you let them construct something with their hands and make them use metaphors. I got really curious to find out whether Christian Bible study groups could benefit from Gauntlett’s approach and LEGO® SERIOUS PLAY®. Would it help participants to connect the Bible with their own life as Christians in an (a more) existential way? After a time of theoretical research and set up, I started out with trial meetings within my own church. The following period I was welcomed by two Bible study groups from another church to work with them. I spend three evenings with each group and additionally interviewed eight people in person. The final part of my research consisted of bringing all my findings together in a conclusion. Gauntlett’s approach and LEGO® SERIOUS PLAY® had proven to be fruitful for the researched purpose – with some adjustments made – which let to recommendations from my side. 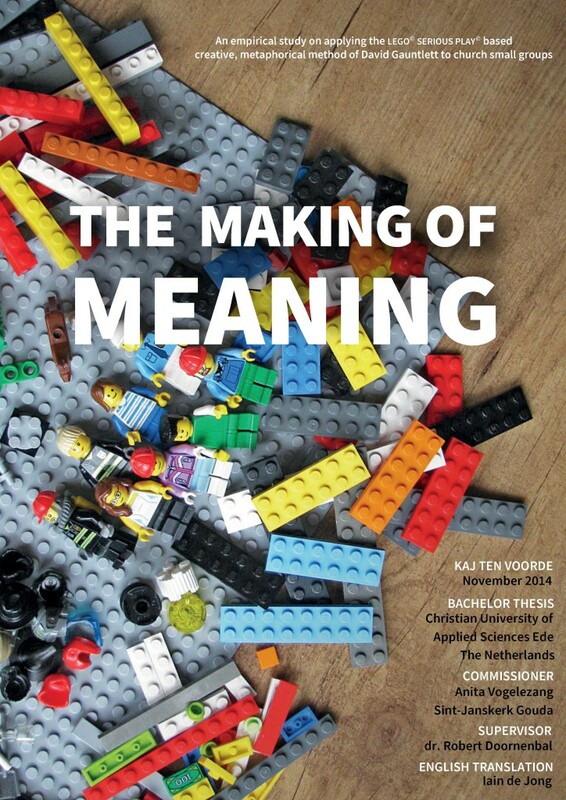 All the participants in my research – some more than others – concluded that both building with LEGO® and sharing and discussing what had been built, created more meaning for them than just talking about a subject or text from the Bible. They felt addressed in more than one way; the whole process had influenced their knowledge, their feelings, as well as their behaviour in daily life. And – a very important asset for everyone involved: everybody gets to play. How often only a few people get to be heard within conversation circles, as some are shy and others are very well-spoken, for instance? With this approach everybody within a group has to built and has to share. This brings forth the need for people to either step out or step back, which is a learning process in itself as well. It is wise to adjust the amount of introduction exercises to the people within the group; not everybody needs as many as others. This prevents people from either getting bored or not having had enough practice with building metaphors. One of the rules of LEGO® SERIOUS PLAY® is to only ask questions about the object that has been built. Within a Bibly study group though it is desirable to also become really personal, more than as compared to other possible settings where LEGO® SERIOUS PLAY® is applied. Usually a Bible study group meets more than say ten times per year. Using LEGO® more than three times in a row is not advisable though. Participants experience it as a very intense process, that they prefer not to overdo. I am still exploring the most optimal build-up of a Bible study group evening using LEGO® SERIOUS PLAY®. I recently found out, for instance, that the introduction is better to be spread out over two evenings instead of one. This mainly because time is limited during a group night (usually 1.5 productive hours). Also, I am exploring what exercises fits what subject or text from the Bible. It is still work in progress. All in all it was – and still is – very impressive to me as a church worker to use LEGO® SERIOUS PLAY® within Bible study groups. Whether you are working with teenagers or adults, everyone of them has a positive feeling about LEGO® and is willing to give it a try, with sometimes really surprising results. For more information, you can read my research report. Additionally, you can read all about the LEGO® SERIOUS PLAY®-methodology and you can consult the English-language articles that I have published about my research on Serious Play Pro.